Dozens of Catholic chaplains and managers who work in Australian ports – and the tens of thousands of people who support their work financially – are being reminded of the scriptural imperative to “always welcome a stranger” in the lead-up to Sea Sunday next month. On July 8, the Catholic Church will celebrate the work of those men and women who work on the seas and those Catholics across the country who minister to seafarers by providing spiritual, social and material support.The modern history of Catholic outreach to those who work on the seas, whether on merchant, fishing, passenger or war vessels, dates back to the 1890s, with port ministry beginning in earnest almost 100 years ago in Scotland. The Apostleship of the Sea, centres of which are called Stella Maris, is present in many countries and was backed by Pope Pius XI in 1922. Bishop Bosco Puthur, the Bishop Promoter for the Apostleship of the Sea in Australia, said while many of those who come ashore have been surrounded by others, they can arrive feeling isolated. “The men and women who spend weeks or months on end travelling the oceans have often left family and other loved ones behind, and they often don’t have access to their religious practices,” Bishop Puthur said. Bishop Puthur said the annual Sea Sunday Appeal provides much-needed funding for this Catholic ministry – to seafarers of all faiths and none – in ports across the country. 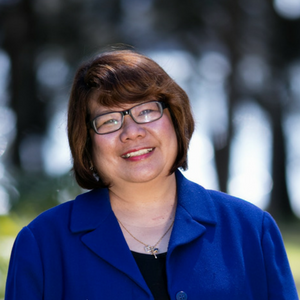 Apostleship of the Sea national director Roslyn Rajasingam said when one considers the fact that the total of 130,000 seafarers who arrive at Australian ports each year is roughly the same number of people who live in Darwin, it gives some insight into the importance of the work. “For some of the men and women, it’s the listening ear or the kind word or the shared prayer that reminds them of home and their spiritual centre,” Mrs Rajasingam said. This entry was posted in Uncategorized on June 15, 2018 by ACBC Communications.